One of my more popular pug Christmas card designs came about by accident a few years ago as I was learning how to use Photoshop. 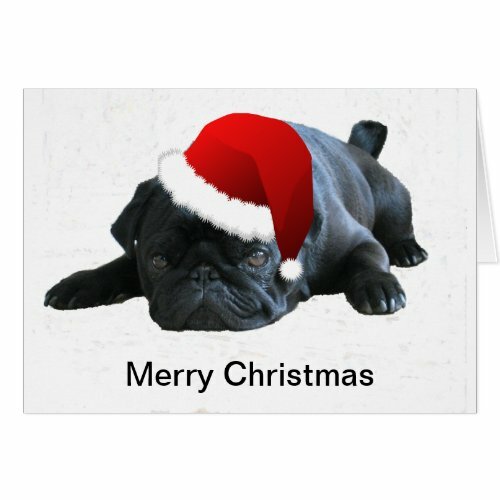 I love the look of pugs, they are just adorable and they are also very popular so a few years ago I decided I really had to make a pug Christmas card for one of my Zazzle stores. I uploaded the photo into Photoshop and using the eraser tool deleted the background. 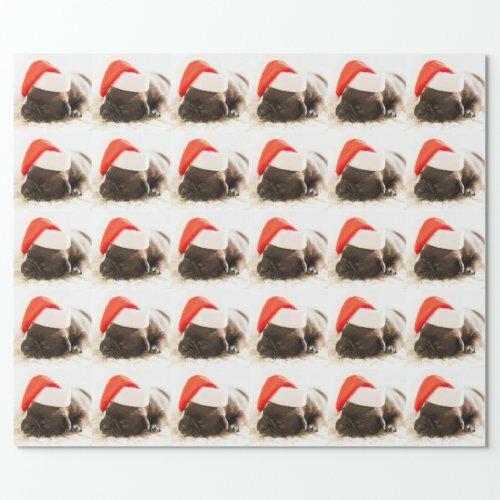 I then found a creative commons vector image of a Santa hat and put that onto the pug’s head. The background appears very mottled instead of the pure white it was supposed to be. I had spent so much time that I could’ve cried, but then my daughter came in and saw the image and loved it, especially the mottled background! Instead of deleting it I published the card and waited to see what would happen. I sold my first card within the first week which I thought was amazing, but I waited and waited to see if I would get a return – I got a re-order from the same person instead! I’m so glad I didn’t delete it, my only wish now is that I could re-create the mottled looking background easily for some of my other designs! Over the past few years this card has continued to be a popular holiday card so the moral of the story is – even if your design isn’t as perfect as you wanted, it may be exactly what other people are looking for! 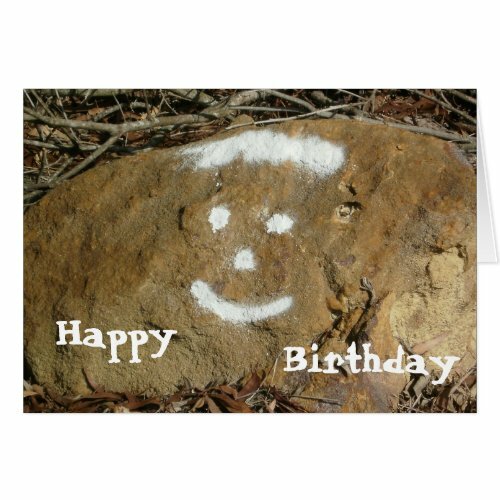 I took a photo of something my daughter and I used to call Happy Rock quite a few years ago and the design is available on a couple of products on Zazzle. It’s not often that I would point out graffiti as something positive, but this was just an ordinary rock by the side of the road until someone painted a happy face on it. 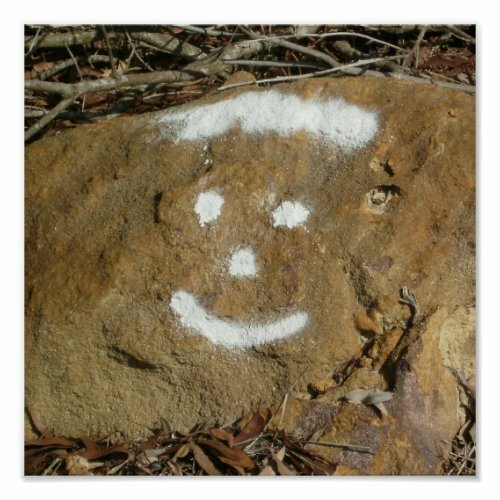 My daughter had just started Primary School when we first noticed Happy Rock (as we named this graffiti smiley faced rock) and on one day she was very grumpy and didn’t want to go to school. I happened to notice the rock and as there were no vehicles behind me I slowed down and reversed telling her to look out of the window. ‘It’s a Happy Rock!’ she exclaimed and from that morning on we would wave to ‘Happy Rock’ on our way to school. My daughter has long since left that school and I drove past the spot for the first time in years to see that Happy Rock is no longer there. The photo I took was with a very old digital camera and really was very much a ‘snap’ as opposed to a well taken photo – the product is popular though. I think what makes the design popular is definitely the subject so when you’re taking photos don’t forget to look outside of the box – a graffitied stone is not what I would think of photographing, but sometimes you capture an emotion at the same time. I’ll admit the poster hasn’t sold (in memory), but I like the idea of it, the birthday card has been and continues to be very popular however. If you’re not smiling looking at these products then I’m a little concerned about you! Do you enjoy a warm Christmas in a tropical area somewhere or in the Southern Hemisphere where Christmas occurs in the middle of summer? If so then you’ll be familiar with the idea of fun Christmas T-Shirts. I was first introduced to the concept of a Christmas t-shirt when I was an adult and moved to the Southern Hemisphere. There are lots of different styles of Xmas shirts to choose from, but I do have a soft spot for the funny Christmas t-shirts myself. 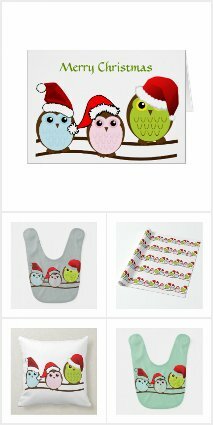 Now those three aren’t my designs, but I think they’re perfect for the festive season. If you live where Christmas is more likely to mean snow than a suntan then you’ll be happy to know that these funny festive designs are also available on sweatshirts and hoodies too! 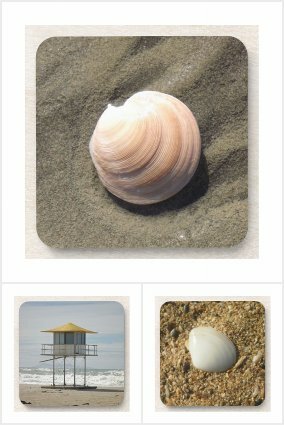 If you love to use coasters for your drinks then I think you’ll fall in love with my selection of Beach Themed Coasters. These coasters are perfect for long, icy drinks in the summer especially outside enjoying the sun. The first shell with the pinkish hue to it was photographed on Ohope Beach in New Zealand, the sand came out looking a lot darker in the photo than I remember it being, but I do love the pink hue in the sea shell. The second coaster features a lifeguards hut on a beach at Mount Maunganui which is also in New Zealand. I love how in the photograph it looks like the waves are almost lapping at the feet of the hut, in reality just past the hut is a sharp drop and there’s more beach, although it was also high tide. The shell in the third coaster has a sheen on it because it was still wet and was glistening under the sun. This photograph was taken at Wellington Point on the strip that leads out to King Island as the tide was going out. Wellington Point is in Australia. 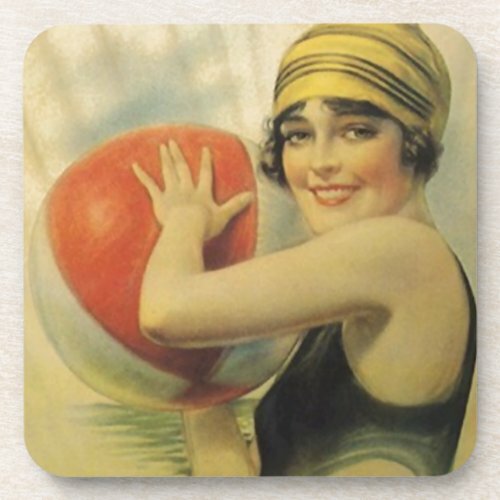 I did have quite a few other beach theme drink coasters at one stage, but no one seemed interested in them so I’ve only kept the three that people seem to want to look at. 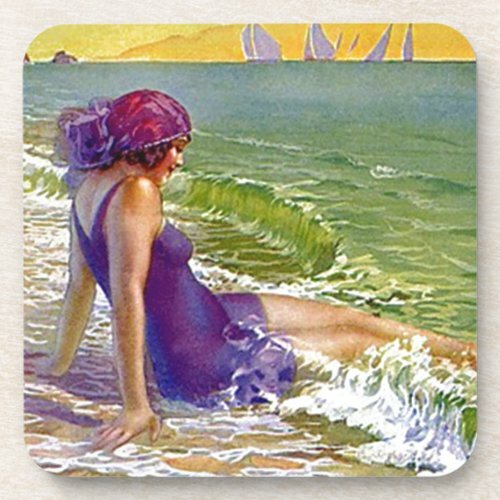 Coasters Vintage Beach Flapper Purple suit Cloche Coasters Vintage Evening Beach Ball Flapper Cloche Baahamas Beach Vintage Stone Drinks Coaster Scenic Beach Stone Drinks Coaster Note: The author may receive a commission from purchases made using links found in this article – more information can be found on our disclosure page. When you’re creating a product using an image from the public domain how do you get it to stand out from the others? I usually upload the image to Photoshop and using the color dropper icon I simply pick a color from the image to use as a background or frame. In my Images of History store I started off with Catherine of Aragon and one of her older sisters Juana. The next image I used was of Anne Boleyn and then I had to decide whether to stick with the rest of the ‘Spanish’ women or the other wives of Henry VIII. I decided to do Henry VIII’s six wives first. When I found an image of Catherine Parr it was tall and not very wide so didn’t sit well on a greeting card. I picked a color from the skirt of her gown and put that as a background with the image over the top. That just made the image look flat and just ‘not right’. I took a color from her kirtle and added that as a very thin frame around the image, but the background still didn’t seem right it needed texture. I created an image of just the background color and used one of the filters on Photoshop to give the background some texture and then added the original image with it’s frame onto it. I think it turned out really good in the end, don’t you? If you know a fan of the Tudor image then you really should check out my store next time you want to send them a greeting card. I lived in New Zealand for 10 years and even ended up married to a Kiwi so we travel back regularly. 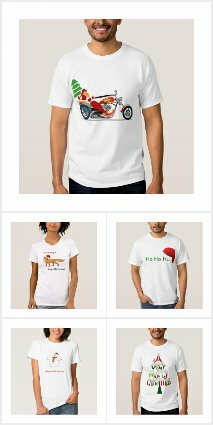 I love some of the funny Kiwi sayings and so it came as no surprise to people who knew me when I decided I had to open up a Kiwi inspired shop on Zazzle – Kiwiana Shop. 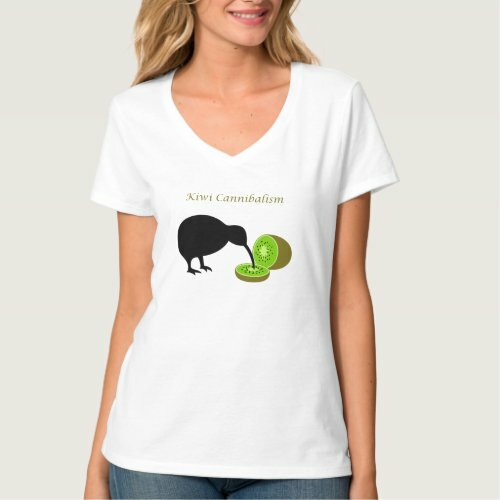 I started this Zazzle store with Kiwi inspired t-shirts because Kiwis in general seem to love their t-shirts. No Worries Bro, Not Even Owl, Nek Minnit and other Kiwi sayings look great on tees. The next ideas for t-shirts was place names and “add town” born style of t-shirts, but my personal favorite was yet to come. I often find some of my most creative thoughts come to me in bed when I’m trying to sleep and the idea for this funny t-shirt was no exception. I was thinking of a Kiwi (bird) eating a Kiwi (fruit) and I thought to myself, “could you call that cannibalism” and started to giggle. This funny t-shirt certainly isn’t my most popular Kiwi tee, but it’s my favorite and still brings a smile to my face when I see it. Of course my Kiwiana Shop isn’t all about t-shirts as I’ve designed other products in it as well, but t-shirts is where this particular store started and it is the main product that I create for it. If there’s a Kiwi in your life you can find some cool gift ideas for them there. What To Do With My Spotted Turtle Dove Pictures? I have fallen in love with spotted turtle doves after they moved into my garden a few years ago, I have amassed so many spotted turtle dove pictures I knew I just had to show them off to people. 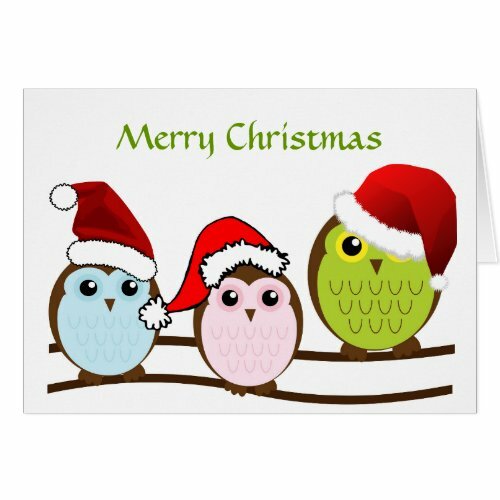 I’ve created a few greeting cards with these gorgeous birds as the stars. Let me tell you a little bit about my spotted turtle doves………maybe four or five years ago I spotted a couple of spotted doves playing out their courting ritual next to my pool, before this time I hadn’t seen any in my back garden. There was a new addition to the spotted dove family. I had hoped to document the new chick as it grew up, but unfortunately I had to go away from home for a few weeks. During the time that I was away our area was hit by some pretty bad storms and my husband found the nest on the ground, we’re hoping that the dove chick had already started to fly and was safe. The doves were still around, but we couldn’t see where they’d built a new nest too. Finally I think I managed to isolate the area in a tree that their nest could have been in, but it was in my next door neighbor’s garden so I couldn’t confirm my theory. My neighbor has three young boys who are pretty inquisitive and very boisterous so it’s best not to mention a possible birds nest! Fast forward a few years and I was sitting on the deck one day and suddenly realized how many spotted doves there were – I counted between 10 and 11 (they kept moving!). I have to think that they all originated from that first ‘couple’. I would have been happy to continue just watching them from my deck , but that was before one of them decided to adopt us! This photograph was taken just after the dove had given me a peck on the lips – we are officially adopted parents of a young spotted turtle dove! A couple of weeks ago my husband told me that one of ‘my birds’ – he calls all of the birds in our garden that because I always talk to them! – came right up to him when he was hanging out the washing and he was sure he would’ve been able to reach out and touch him if he tried. I just nodded and murmured something and thought nothing more of it. The following day my hubby calls me into the kitchen and points out to our deck whispering I think that’s the bird from yesterday. I looked and saw it was a spotted dove and so I went outside with a couple of pumpkin seeds in my hand (they were a bit big, but they were in the trail mix I was eating at the time). The dove decided to come onto my hand, then he looked at the seeds, looked at me again and I thought he was about to fly away. Instead he jumped further up my arm, twisted his head on one side to look at me before proceeding to walk up to my shoulder. I was a little in shock and after about a minute he flew off and headed towards my husband. I went inside to get some bread and hand fed the cute little bird. The second day he got on my shoulder and decided to give me a couple of pecks on the lips (see the photo above). We see our ‘adopted’ bird every day and my husband insists s/he prefers crushed pieces of weetbix every day so feeds it that. 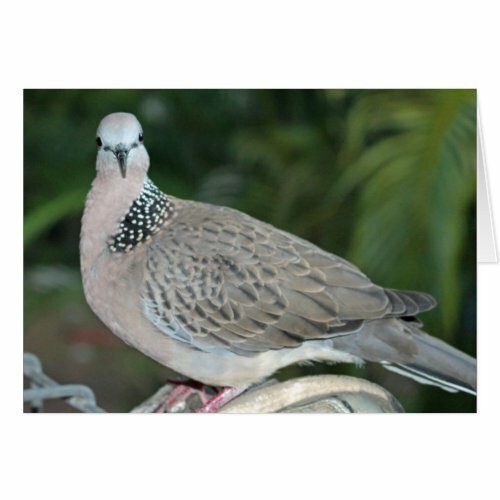 I’ve found that our little birdie prefers pieces of bread from me so…..
Isn’t Our Spotted Dove Gorgeous? I really do think we have the most gorgeous ‘wild’ adopted pet, our neighbors have seen us feeding him/her and with it hopping onto our shoulder and can’t believe it isn’t a tame bird. 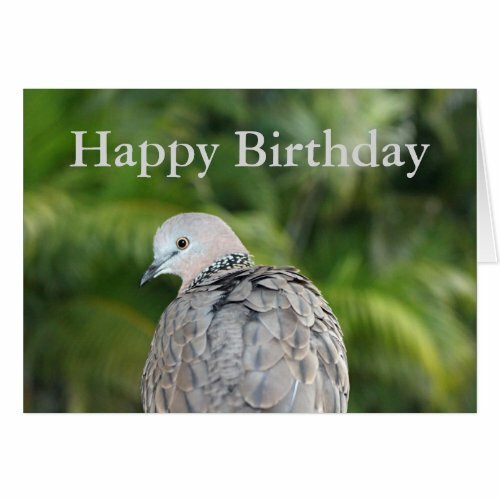 Author coxylouPosted on August 29, 2016 December 19, 2016 Tags bird greeting cards, birds, greeting cards, spotted doves, spotted turtle doves5 Comments on What To Do With My Spotted Turtle Dove Pictures? 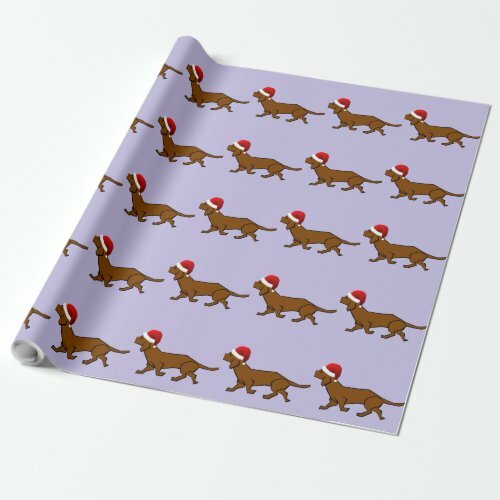 What could be a better way of letting everyone know what a dog lover you are than by using dog Christmas gift wrap. I love seeing dog inspired Christmas wrap, tree ornaments and Christmas cards at this time of the year, don’t you? 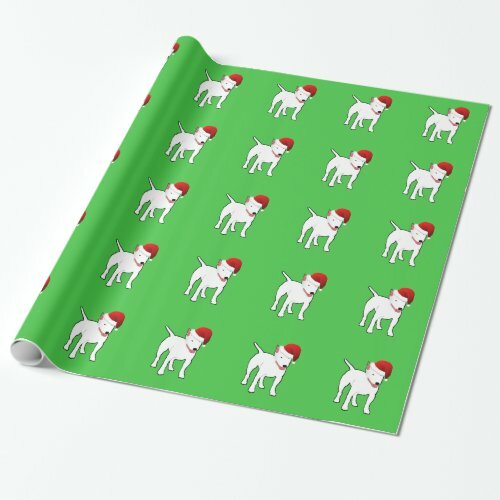 The first dog Christmas gift wrap that I designed was based on a bull terrier that reminded me of my husband and I’s first dog, Shelly. I used an image from the public domain for the bull terrier and at first added a festive green background to is, but the result wasn’t ‘quite right’ so I went for a brighter green and I thought that the end result was spot on. I’m not the only one as this design was the first gift wrap that I ever sold. I have since used different colored backgrounds for the bull terrier designs, but the one featured is the most popular one. I’m not even sure what made me add these colored backgrounds, but I’m glad I did. Here’s a few more of my dog Christmas gift wrap for you to enjoy. So which dog gift wrap do you prefer and will you be using any of them for wrapping up your presents this holiday season?